NEW EDITION Available January 2017! FRANK ZAPPA is the most prolific composer and recording artist of the 20th Century. Besides his guitar mastery, Zappa's ability of incorporating any style into his unique body of work is unprecedented! Even before his death in 1993, Frank Zappa attained artistic success and respect in the rock and classical worlds. 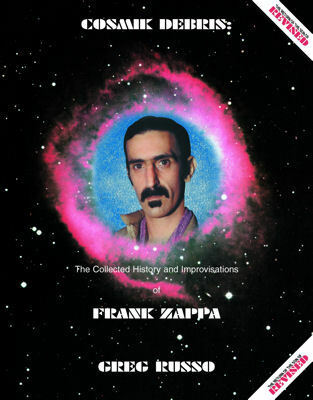 In recent years, an increasing number of classical ensembles have included Zappa's music on program including other great masters, such as Mozart and Rossini. The Brian Lord and Junier Mintz singles that all other books claim weren't released! The most complete gig list ever! The new book is called "The Return Of The Son Of Revised" Edition. The book is much larger than before, with a revised format.